As they return to regular schedules at the end of the holiday period, financial education teachers across the Israel Sci-Tech Network has gotten their study programme into gear. Currently they are looking at one of the first topics taught in the framework of this programme: the development of money and methods of payment. 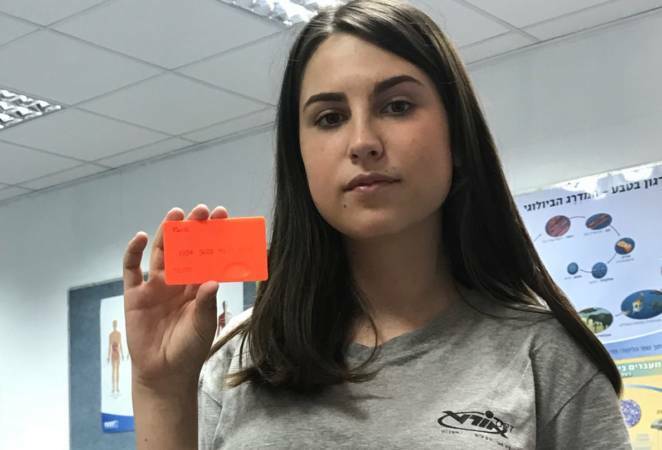 Ms. Tali Maimon, a teacher at Sci-Tech Afridar High School, Ashkelon, has been teaching this programme for several years, and last year she had led a major project in her class, looking at possible designs for the future’s methods of payment. 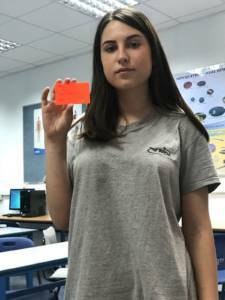 Her students, who are studying in a course combining vocational qualification with full matriculation, have been specializing in 3D printing, and with the support of their course coordinator Mr. Amnon Deutch they produced initial prototypes of their proposed methods of payment. The students’ eyes shone when they spoke about this project, which enabled them to express their personal worlds and their individual hardships in the classroom. 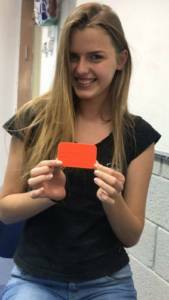 One of the students, who requested to remain anonymous, developed a novel method of payment for the visually impaired, based on the personal story of his grandfather, who encounters severe difficulties with his financial conduct.